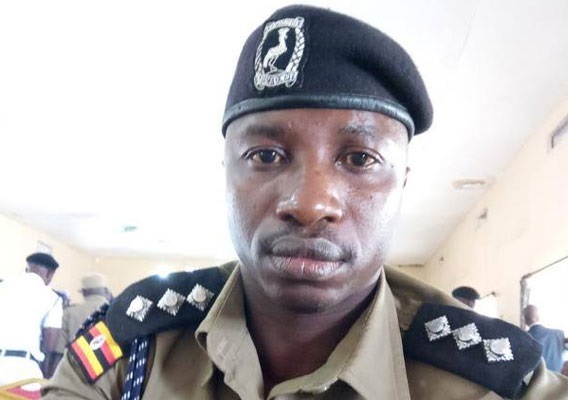 KAMPALA – Police in Kiboga district has blocked a procession of residents of Kyangwali Sub-county in the created Kikuube district in Bunyoro sub-region, who were walking to Kampala to petition President Museveni over an impending eviction. The group, numbering about 100, started their journey on foot from Hoima district on Monday evening. But no sooner had they reached Kiboga Town on Wednesday morning than police intercepted them and ordered them to choose five representatives to present their grievances to the President in Kampala, and urged others to return to their homes. The Police spokesman for Wamala region, Mr Nobert Ochom, said the group was supposed to seek permission from the IGP so that Police provides them with security. He said they advised them to seek an appointment with the President through their area Resident District Commissioner. The group leader, Mr Nestorie Tumwesige, said they resorted to marching to State House Entebbe after their leaders, including the RDC, failed to address their concerns of plans by the Office of the Prime Minister to evict them from land that neighbours Kyangwali refugee settlement so as to expand the refugee camp. “The security officers promised to resolve the matter by going on the ground for a fact-finding mission. To our surprise, they only stopped in the refugee settlement and they did not reach the affected families. We then decided to walk to state house,” he told journalists. The land on which Kyangwali refugee camp sits has been a contentious issue in the area. The Bunyoro Kitara Kingdom Prime Minister, Mr Andrew Byakutaga, recently asked Government to halt the impending eviction until the issue of boundaries is resolved with Bunyoro Kitara Kingdom and the communities surrounding the refugee settlement. The indigenous people of the contested Kyangwali refugee settlement land demanded for an independent investigation into their eviction, crimes against humanity and torture allegedly by officials from the Office of the Prime Minister. They made the demand while meeting the Committee on Presidential Affairs during a fact-finding visit to the contested land in October 2018. “Currently we are being squeezed in one acre per family, forced to relocate and given no compensation for the development on our land. We pray that we follow the 1998 survey and life continues,” said the representative of residents, Nestori Tumwesigye.